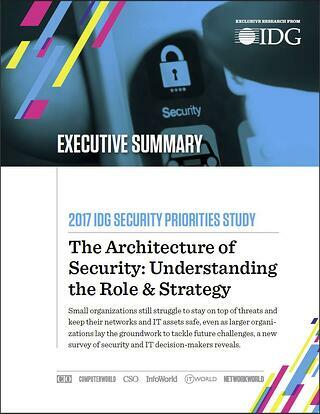 The Architecture of Security executive summary provides an overview of the IDG 2017 Security Priorities study explaining the security structure and strategies that organizations have in place to mitigate risk. Look at which organizations employ top security executives and how this position can impact security strategy. Explain whether IT or IT security holds primary security responsibility, and how this varies by company size. Outline the security technologies organizations are currently investing in and where they plan on investing in within the next 12 months. Define the challenges that are taking time away from organizations' security strategies. Register for your free copy today.